FRAZIER is an accredited industry leader in structural steel. When developing our manufacturing capabilities in 1949, we made a fundamental decision to use structural steel instead of inferior roll-formed steel in all of our products. Since then, FRAZIER has become the leading producer of structural steel pallet rack systems with the greatest production capacity in the industry. 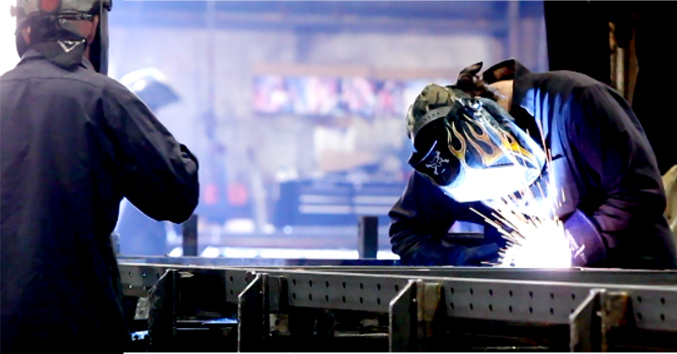 With our network of 10 fabrication facilities,strategically located throughout North America, FRAZIER guarantees manufacturing flexibility while meeting tight construction deadlines. Our unique manufacturing network affords us the ability to reduce freight and installation costs, resulting in the most competitive prices.